Corolla has a rich history that shows in every aspect. 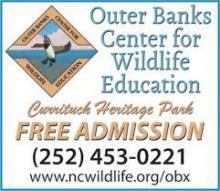 Visit the local museums that cover everything from the Currituck light house to the wild horses. Some of the museums also double for events like the Whaleshead Club and their weekly wine tastings. Corolla has been able to maintain its small town feel and and remains one of the most intriguing towns on the Outer Banks. Learn more about why that is at some of our favorite museums and learning centers listed below. "Protectors of the Wild Horses"
Take the maritime forest hiking trail and get a glimpse a variety of a fauna, species of birds, and wildlife. Climb the 220 steps to the top of the Currituck Lighthouse for a 360-degree view of Corolla! "Inspiring Appreciation and Conservation of North Carolina's Aquatic Environments"
The outdoor drama comes to life nightly except Sundays. June – August. Millions have seen the compelling story that celebrates the 117 English men, women, and children whose dream still lives on in this American original. Located on Roanoke Island. Located inside Currituck Heritage Park, the museum is situated on 39 acres of pristine waterfront property, and is located in the heart of Historic Corolla.